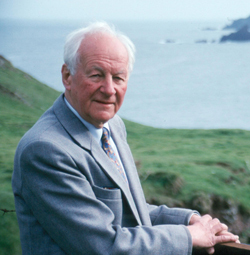 John Stott passed away this morning at the age of 90. He has been described as the most influential Christian than Christians have never heard of. He was a hero to many local church pastors, one of the finest Bible expositors in the world and a beloved friend to rich and poor everywhere. From him: The Gospel is good news of mercy to the undeserving. The symbol of the religion of Jesus is the cross, not the scales.